MongoDB is a leading non-relational database management system, and a prominent member of the NoSQL movement. 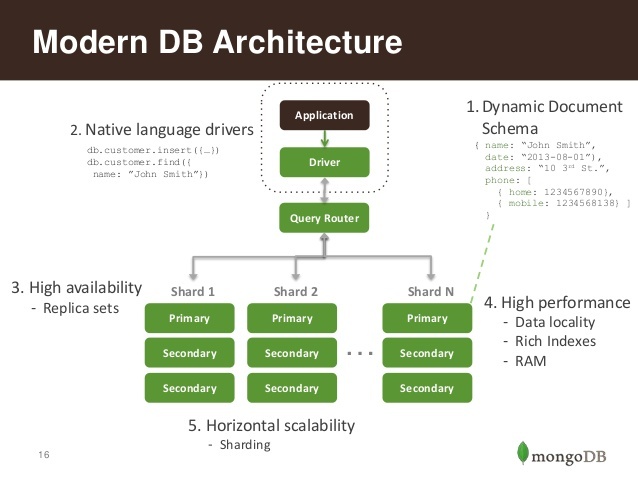 Rather than using the tables and fixed schema’s of a relational database management system (RDBMS), MongoDB uses key-value storage in collection of documents. It also supports a number of options for horizontal scaling in large, production environments. MongoDB is written in C++. 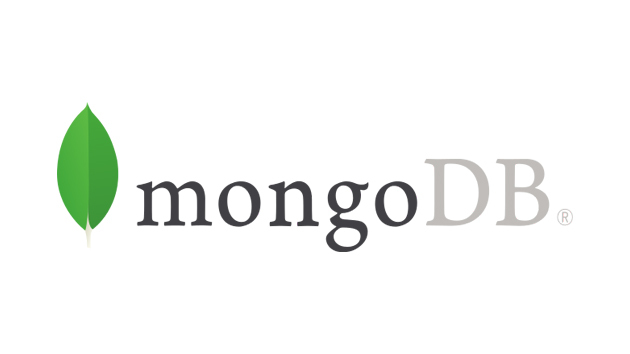 MongoDB uses JSON-like documents with schemas. In this guide, we’ll explain how to set up a sharded cluster for highly available distributed datasets. There are two broad categories of scaling strategies for data. Vertical scaling involves adding more resources to a server so that it can handle larger datasets. The upside is that the process is usually as simple as migrating the database, but it often involves downtime and is difficult to automate. Horizontal scaling involves adding more servers to increase the resources, and is generally preferred in configurations that use fast-growing, dynamic datasets. Because it is based on the concept of adding more servers, not more resources on one server, datasets often need to be broken into parts and distributed across the servers. Sharding refers to the breaking up of data into subsets so that it can be stored on separate database servers (a sharded cluster). Use replica sets for each shard to ensure high availability. We recommend adding a private IP address for each one and using those here to avoid transmitting data over the public internet. and the number of open files or nofile to 65536. 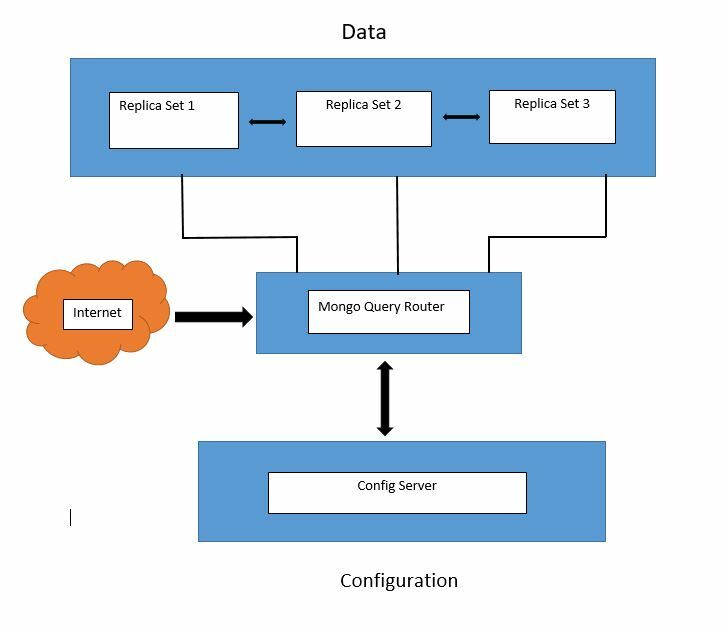 To install specific release of MongoDB specify each package individually. set , so that they all have the key file located in the same directory with permissions. have the same data set. Replica set can have only one primary node. In the admin database, add a user with the root privilege. Connect and authenticate as the user administrator. For each member, start a mongod and specify the replica set name through the replSet option. Specify any other parameters specific to your deployment. ExecStart=/bin/mongod --port 27017  --logpath /data/mongocluster/mongod1/logs/mongod.log --config /etc/mongod1.conf --dbpath /data/mongocluster/mongod1/data --replSet "r0"
ExecStart=/bin/mongod --port 27017  --logpath /data/mongocluster/mongod2/logs/mongod.log --config /etc/mongod2.conf --dbpath /data/mongocluster/mongod2/data --replSet "r0"
ExecStart=/bin/mongod --port 27017  --logpath /data/mongocluster/mongod3/logs/mongod.log --config /etc/mongod3.conf --dbpath /data/mongocluster/mongod3/data --replSet "r0"
Connect a mongo shell to a replica set member. Verify the initial replica set configuration. rs.add() can, in some cases, trigger an election. If the mongod you are connected to becomes a secondary, you need to connect the mongo shell to the new primary to continue adding new replica set members. Use rs.status() to identify the primary in the replica set. Add the remaining members to the replica set. primary to add members to a replica set. We can also initiate and add the replica set using single command. Check the status of the replica set. secondary member of the set. Config servers store the metadata for a sharded cluster. For multiple config server start the config servers with –replSet options. To remove the member to replace from the config server replica set. Applications never connect or communicate directly with the shards. Create a new collection called exampleCollection and hash its _id key. Use the sh.status() method in the mongo shell to see an overview of the cluster. so that it does not attempt to become primary for 60 seconds. When enabled, the monitored data is uploaded periodically. The monitored data expires after 24 hours. That is, you can only access monitored data that has been uploaded within the past 24 hours.